Posted on June 6, 2013 at 12:00 pm. While this is only the result of visits to a particular site, it is still very useful in determining some internet trends. The values of the market share differ from StatCounter‘s values however the trends are very similar. Keep in mind when comparing the two graphs that the W3C graph above is from 2002-2013 and StatCounter’s graph below is from 2008-2013. 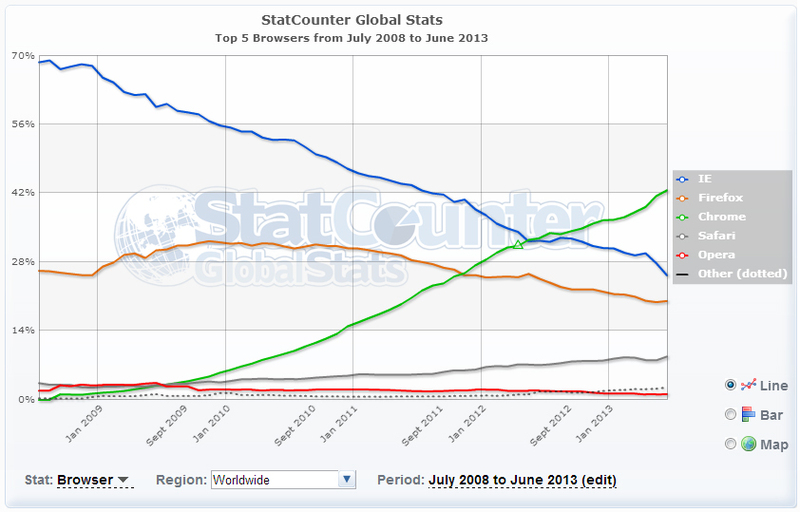 StatCounter’s stats are also global so IE usage will be higher than the US usage and Firefox usage will be lower than the US. 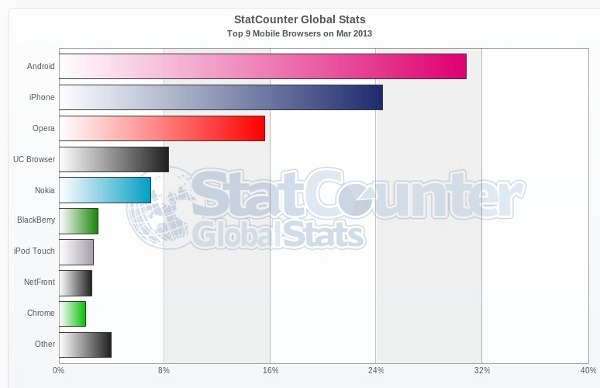 StatCounter’s global market share of internet browsers. 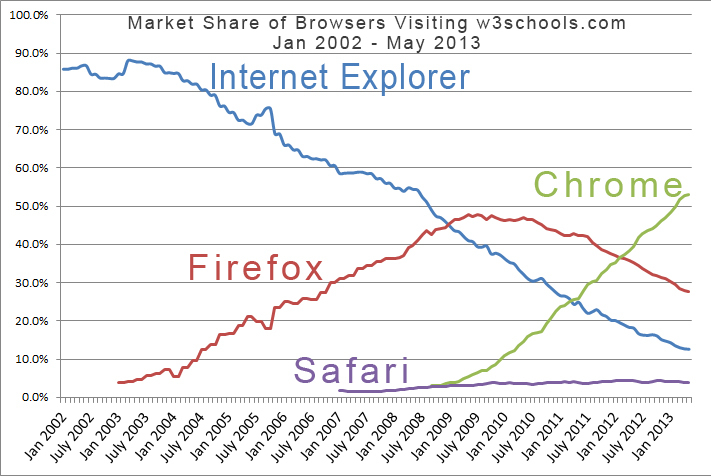 There you have it…Chrome is the most popular web browser today and it’s no surprise. With blazing speeds and full integration into the suite of Google products like Gmail and Google Search, Google Chrome has proven itself to be a worthy adversary of anyone who dares to compete over the internet. 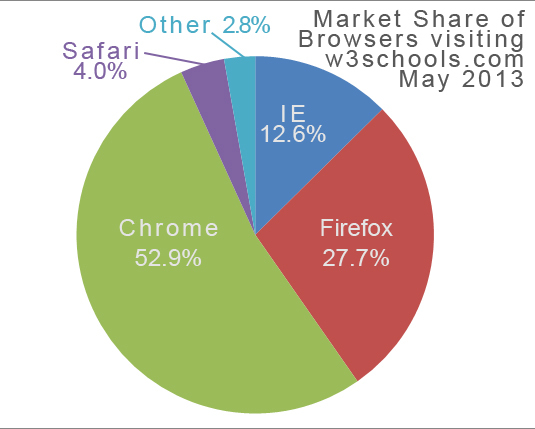 Google Chrome is poised to become the next Internet Explorer…as far as market share goes. 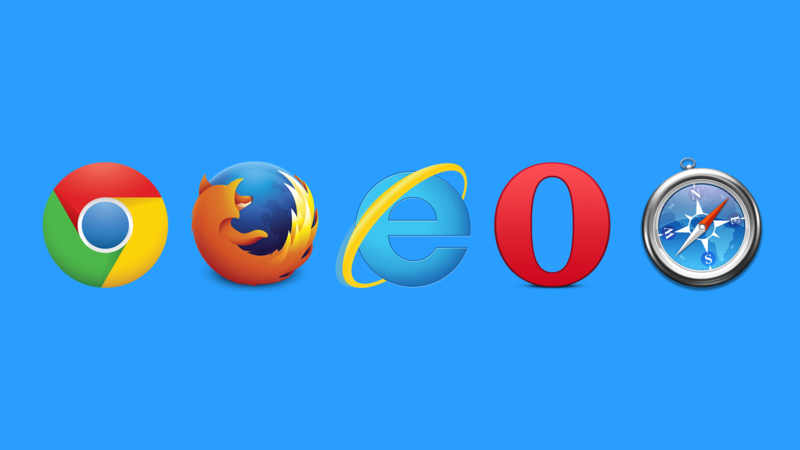 Everyone knows the only use for IE today is to download another browser.